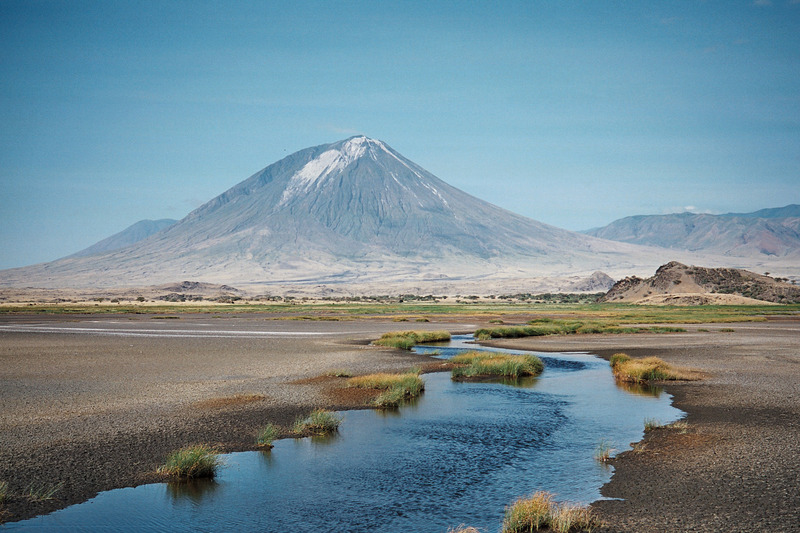 This evening on the 11th of January 1964, fossil hunter Kamoya Kimeu (1940-Present) was crossing what had been an Early Pleistocene delta to the western side of Lake Natron, Arusha, Tanzania. He was there with a team led by Richard Leakey in search of our earliest ancestors. Barely a few days into the expedition, Kimeu found a hominin mandible, not one of our ancestors, but just an intriguing. It is 1964 and by this time, OH 5, representative of Paranthropus boisei was already gracing the covers of magazines throughout the world. Thought to be the first human that used stone tools for the first time, the Nutcracker Man was not all he was cracked up to be. As more hominin fossils from the Late Pliocene and early Pleistocene began to show, it became more and more clear, that while P. boisei may have been found on an archaeological layer, this is not enough evidence to support a “he’s the first human” hypothesis. Kimeu had found another representative of P. boisei at Peninj and it was a remarkably complete hominin mandible. The right condyle was missing and so too were the left and right coronoid processes, despite that the fossil had its complete set of teeth and that was particularly key. The teeth showed a great deal of wear to the point that you could see the dentine beneath the enamel. This individual must have eaten alot of sedges and grasses throughout its life to give that sort of result. Grasses and sedges that you could find around deltas like that one that would have entered Lake Natron, when it wasn’t quite as salty. But when exactly did our hominin friend give up its spirit along the shores of the Lake. The stratigraphic layers in the region are like the pages of a picture book, no words, but pictures that can tell better narratives that Twilight could ever even dream of. The mandible was uncovered in a sedimentary layers, comprising the deltas alluvial deposits, sandwiched between two volcanic layers. The volcanic Tuff atop the layer that contained the fossil was previously dated to between 1.6 and 1.4 million years of age, while the basalt below was dated to 1.7 million years of age. You may think that the fossil is probably going to be between 1.7 and 1.4 million years of age, but the team of geologists at the site conducted further analysis at the site to help get a more accurate result. They settled on an age for the mandible of between 1.5 and 1.3 million years of age. Enough time for the ph of a lake to reach beyond 12. 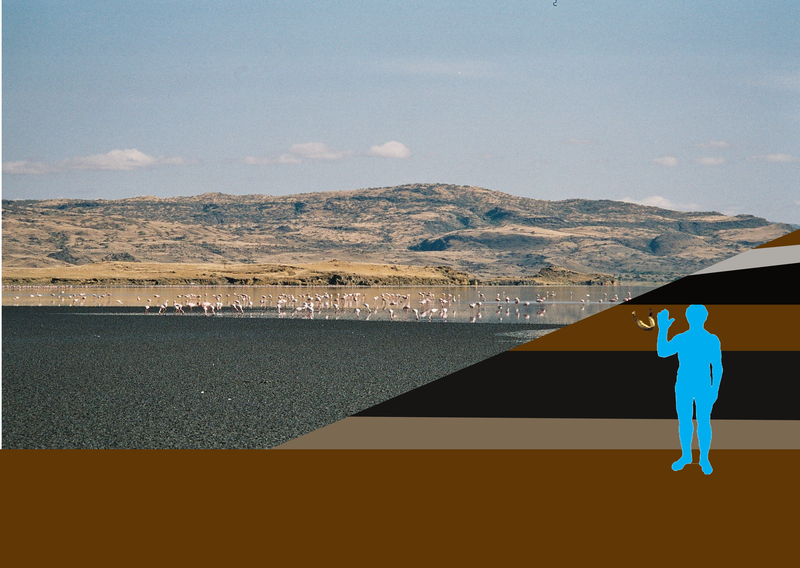 View of Lake Natron and a superimposed graphic of the hypothetical organisation of the layers around the fossil. Since the discovery of the Peninj 1 mandible in 1964, another hominin with similar characteristics to P. boisei was found. Paranthropus aethiopicus now joined a trio of hominin species that became the Paranthropines, comprising boisei, robustus (South African hominin) and aethiopicus. Most of what we have collected of these creatures are crania and mandibles, though some postcranial remains have been found. Thankfully the teeth survive well and can tell us a great deal about their diet and the subtle, yet important questions of how they chew their greenery. There was a long drawn out debate over whether these three hominins deserved to live in a separate group – the Paranthropines. Originally, these hominins were classified as robust australopithecines and the palaeoanthropological community decided that a change was needed. The complete anatomy of the Peninj Hominin was never recovered and given that the mandible survived so well, this individual may have fallen to a carnivore in the delta. Below is a summary of the discovery that was made on the 11th of January 1964.